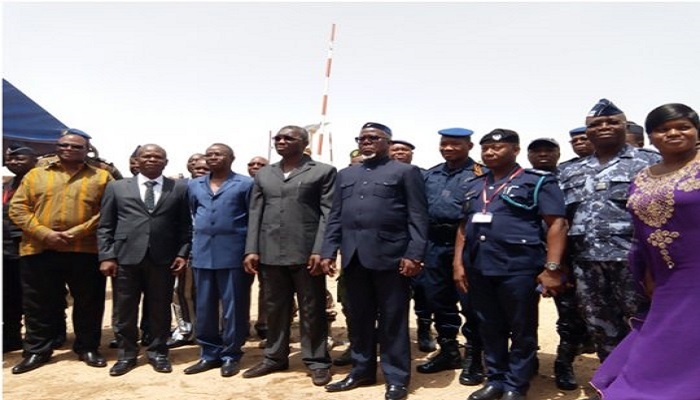 Ghana, Burkina Faso, the Republic of Benin, and Togo have met to find ways of combating cross-border crimes in the sub-region. These four West African neighbours have concluded that crimes were trans-National activities that affected development of these countries in the sub-region. The round table meeting which was a follow up to operation “Kondanlgou-2018” being executed by the four-member countries was aimed at checking and stopping trans-border crimes and to strengthen ties between the security apparatuses of these countries. It was also to ensure the safety of residents at the borders of the various countries. The meeting brought together heads of service commanders and members of the national security of the participating countries to deliberate on issues of security, including communication such as language barrier, effective cooperation and logistics among others at the weekend in the Sankaduri province of Burkina Faso. The operation will further consider combating crimes such as human trafficking, terrorism, armed robbery and smuggling among others at the borders of the participating countries. Brigadier General Emmanuel Okyere, National Security Advisor to the President of Ghana, noted that the current crime trends were transnational ones, which needed effective collaborations between the four countries to enable them combat such crimes. Brig. Gen. Okyere mentioned that it was important to enhance interoperability with the security agencies in the various countries to create a viable and effective communication strategy to make the operation succeed. He urged the security agencies to cooperate effectively and extend the sensitisation to the civilian population of their respective countries to enable them appreciate the purpose for which the operation was being executed, which was paramount to their security. Mr Clement Sawadogo, Minister in-charge of National Security in Burkina Faso urged the various countries to be committed to retooling the securities at the frontiers to protect the interest of the vulnerable citizens. He commended the framework of the operation and called on civilian population to support the security to maintain law and order to promote the socio-economic development in the various countries. Brigadier General Emmanuel Okyere, Mr Rockson Ayine Bukari, Ghana’s Upper East Regional Minister, Deputy Commissioner of Police (DCOP) in-charge of Operations in the Upper East Region, Mr Simon Afeku and other heads of government institutions represented Ghana, while Mr Clement Sawadogo, Minister in-charge of Security represented Burkina Faso. Mr Nouatin Alian Minister for Defence represented the Republic of Benin and Mr Damehane Yark, Minister in-charge of Security and Civil Protection represented Togo at the meeting.